Danail Hristov was born in 1937 in Sofia (Bulgaria), in a family of devout evangelical Christians. He graduated from Sofia Art Academy in 1970 and worked as a designer; taught Artistic Design Fundamentals at the High School of Applied Arts in Smolyan, and lectured at the Technical University of Sofia. He has been examining Christianity for many years and writing essays. In the process he encountered a fraud, which he believes to be unparalleled in the whole course of human history; but did not lose confidence in God. The Bible is the main literary source on which he bases his search. The other fulcrums for his argument he has found in the fundamental structure of the Universe and Life, also in the qualities and abilities of man, and finally, in human experience – historical, social and personal. 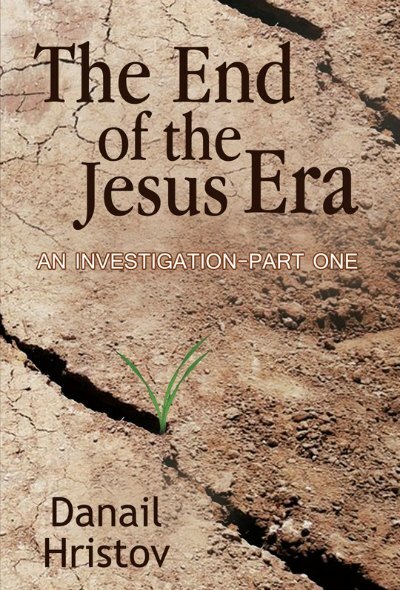 "The End of the Jesus Era" is his first English book – an honest attempt at impartial investigation into the Jesus phenomenon. In parallel with this, it initiates an exploration of the nature of the Creator in the light of the moral principles inherent in Life and the logical pattern of the Universe. His autobiography, stories from his life experience as a zealous Christian, and some observations on Christianity, gained over seventy years, are also included in the study. He is currently writing the second part of "The End of the Jesus Era". The truth about Jesus differs radically from his traditional image!? However, both of the above assumptions are in fact provable through the logic that orders the Universe and also by virtue of the moral principles inherent in Life. This book initiates an independent investigation into the Jesus phenomenon. In parallel with this, it opens up an exploration of the nature of the Creator.